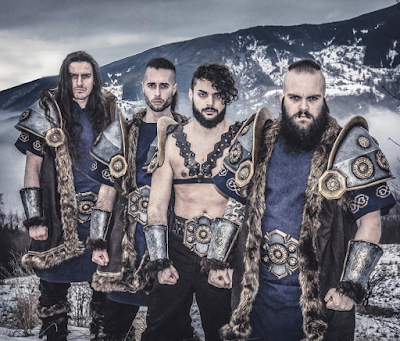 After their successful album Stonehymn, appearances at major festivals as Bloodstock Open Air and successful tours with bands like Finntroll, Wintersun, Ensiferum and Eluveitie, WIND ROSE are now ready to continue their journey through mountains, ice and snow. Napalm Records is proud to be part of this journey from now on. WIND ROSE recently returned to their subterranean caverns to record a new studio album. There is a lot to expect for 2019. A dwarf doesn't write songs. He smiths them against the anvil. Sebastian Münch, A&R Napalm Records, said, "Napalm Records coudn´t be more excited to announce the signing of Italy´s Epic Folk/Power Metal Band WIND ROSE. The 2017 album release Stonehymn was a true masterpiece and should be very intriguing for fans of Turias, Ensiferum and Equilibrium! Raise the horns and welcome to the Napalm family." WIND ROSE said, "We are extremely proud to be part of the Napalm family. It's great to have such big support behind our band and vision! The Dwarven army is now stronger than ever and so will be the next album. Get ready for something so powerful you won't believe your ears...The Dwarf and his army are coming and with them a new wave of folk power metal."